. 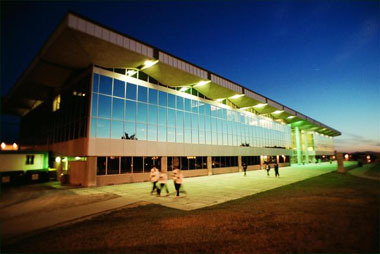 "Université de Sherbrooke". The Canadian Encyclopedia, 20 April 2017, Historica Canada. 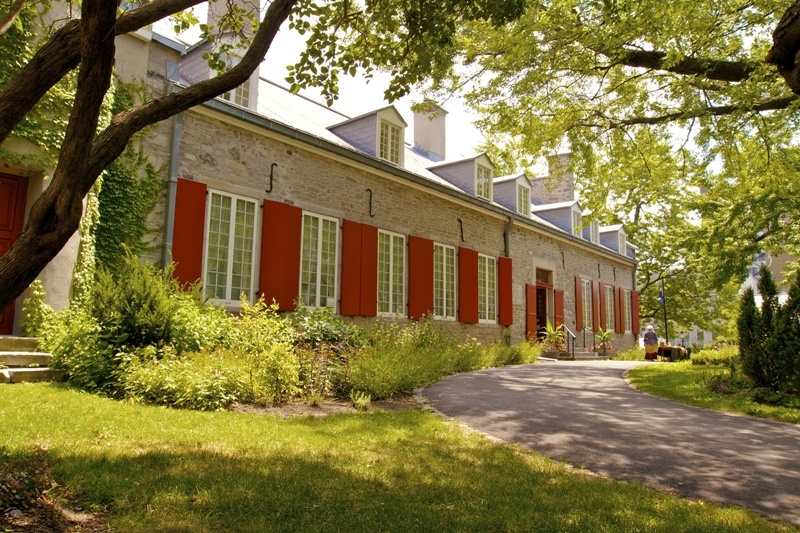 https://www.thecanadianencyclopedia.ca/en/article/universite-de-sherbrooke. Accessed 24 April 2019. The Université de Sherbrooke is a public francophone university. It has distinguished itself with its co-operative education program, which gradually integrates students into the workforce through alternating sessions of academic study and paid internships in professional working environments. 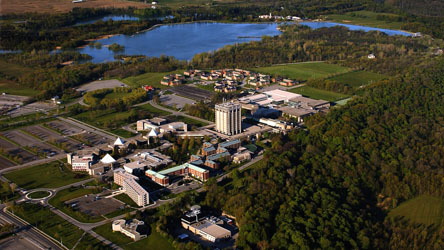 The university has three campuses: two in the town of Sherbrooke (Eastern Townships) and one in the town of Longueuil (Montérégie). The Université de Sherbrooke was founded in 1954. It was originally part of the Séminaire St-Charles Borromée, from which it physically and administratively separated in 1960. At first, the university included three faculties (arts, law and science); it has since grown to eight faculties offering undergraduate and graduate programs in business management, law, education, physical education, engineering, humanities, medicine and health sciences, and science. Moreover, it offers many continuing education programs to practising professionals, and delivers courses and programs to thousands of students age 50 and older through its “University of the Third Age” (see Adult Education). A variety of cultural and sport services are offered to students attending the university’s three campuses: the main Sherbrooke campus, the Sherbrooke Health campus and the Longueuil campus in Montérégie. The university also offers its medicine program at the Université du Québec à Chicoutimi and the Université de Moncton. 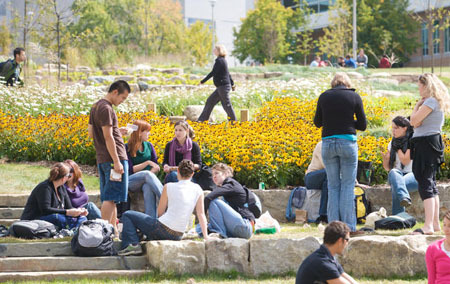 The Université de Sherbrooke attracts students from across Québec, Canada and overseas. 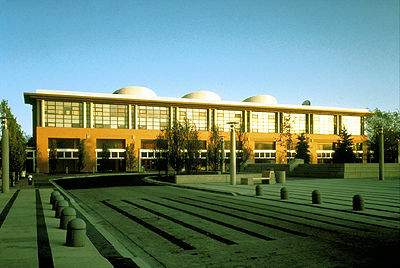 It is attended by more than 40,000 students, of which 10,500 are enrolled at the University of the Third Age. Sherbrooke was the first university in the world to offer a Master of Business Administration (MBA) in French. It was also the first university in Québec, and the second in Canada, to adopt a system of co-operative teaching, combining periods of academic study with paid internships in professional working environments. Every year, nearly 4,000 co-operative internships take place in approximately one thousand businesses and organizations in Québec, Canada, and around the world. The second largest of its kind in Canada, the Université de Sherbrooke’s co-operative education program ranks among the 10 largest co-op programs offered at higher-education institutions in North America. The Université de Sherbrooke also has a strong research program, with more than 70 research chairs and almost 30 research centers. It tops most other Canadian universities in terms of the number of grants and research-related contracts it receives. Prominent alumni include former Québec premiers Pierre Marc Johnson and Jean Charest, lawyer Guy Bertrand, bestselling novelist Dominique Demers, hematologist and Héma-Québec president Francine Décary, and soccer referee Sonia Denoncourt (who is also the first female FIFA-accredited referee).